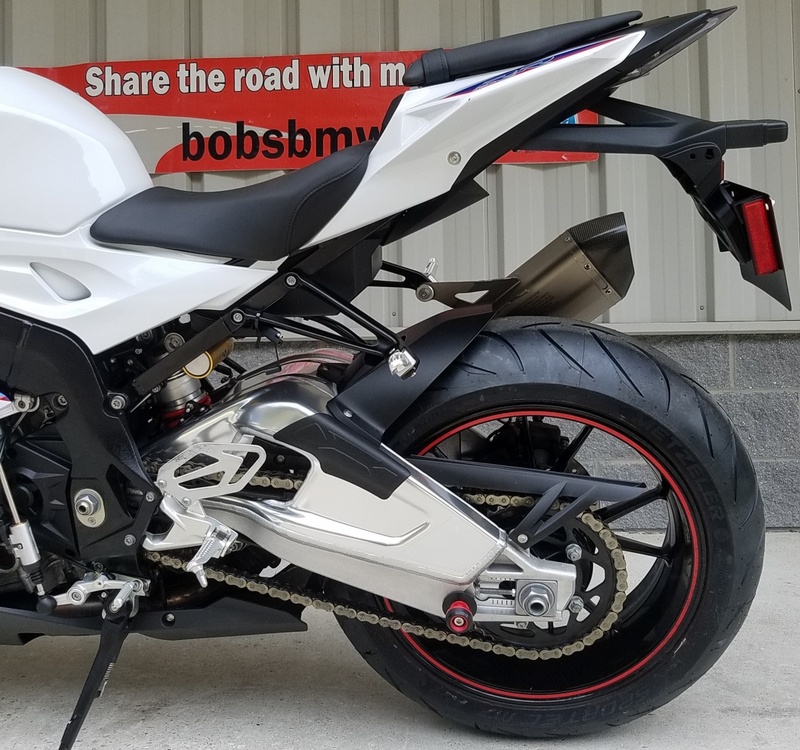 Up for sale is a beautiful 2015 S1000RR in BMW’s most popular RR paint scheme – Motorsport (Light White, Lupin Blue and Racing Red). 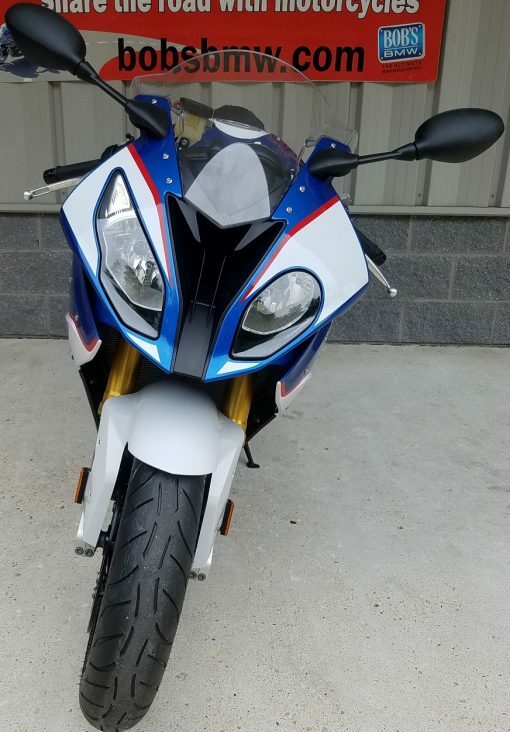 It’s hard to tell that this is not a new motorcycle. 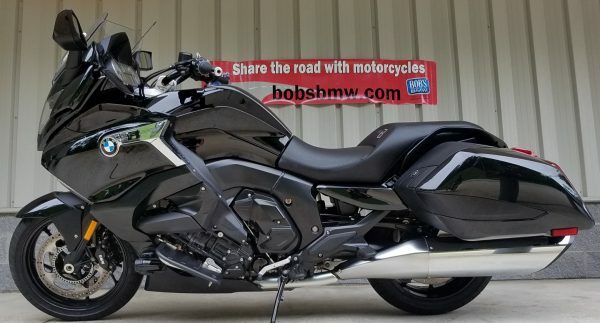 Especially with only 3,813 miles, it basically IS a new motorcycle! 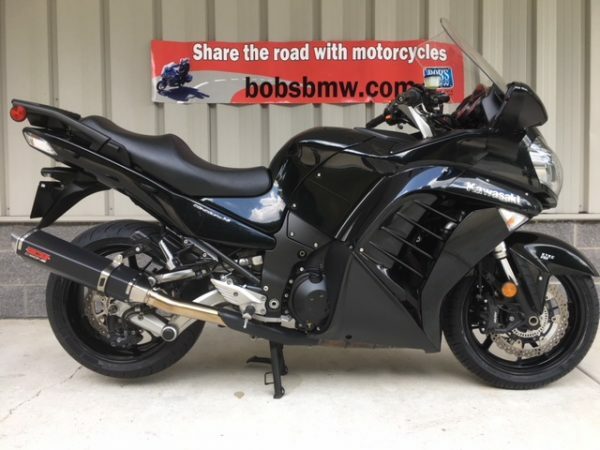 And with lots of clean and desirable accessories, this bike is super loaded and ready for its new owner! 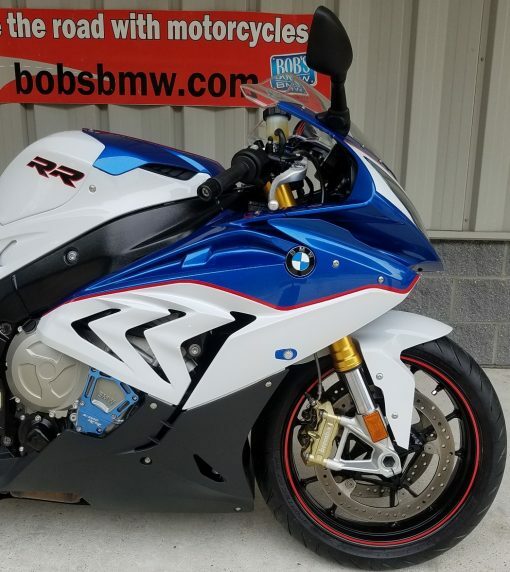 This S1000RR was bought new by its only owner from Bob’s BMW in May of 2015. 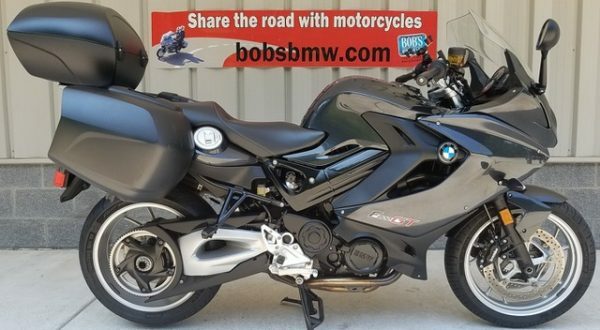 It was ordered specifically for the previous owner with all the options BMW had available at the time. 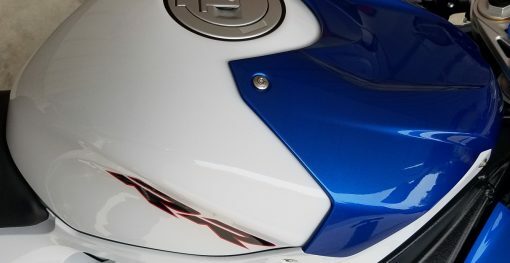 It comes with DTC (Dynamic traction control), DDC (Dynamic damping control), Race Package, Design Option Wheels, Cruise Control, Gear Shift Assist Pro, Ride Modes Pro and heated grips. 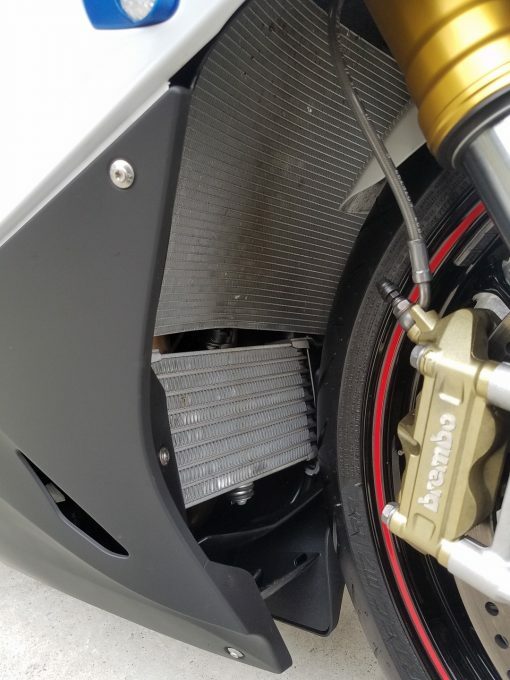 He also had select accessories added to the bike before taking delivery. 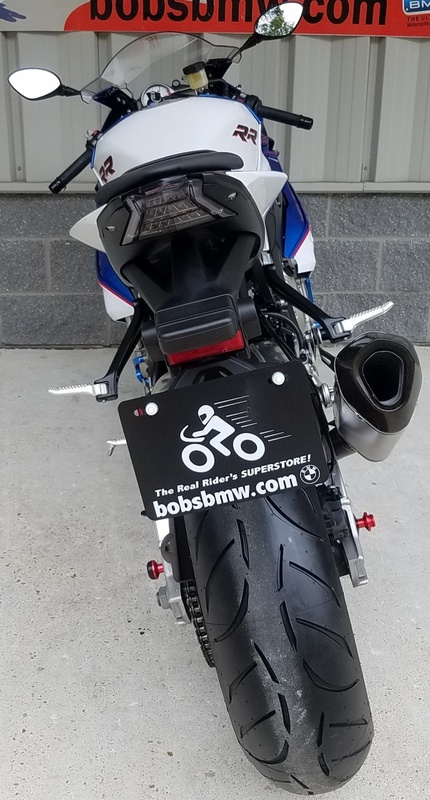 The master technicians at Bob’s BMW added the Akrapovic titanium muffler (less weight and added horsepower) which is fantastic sounding, low profile side panel front turn signals and integrated tail light with turn signals. 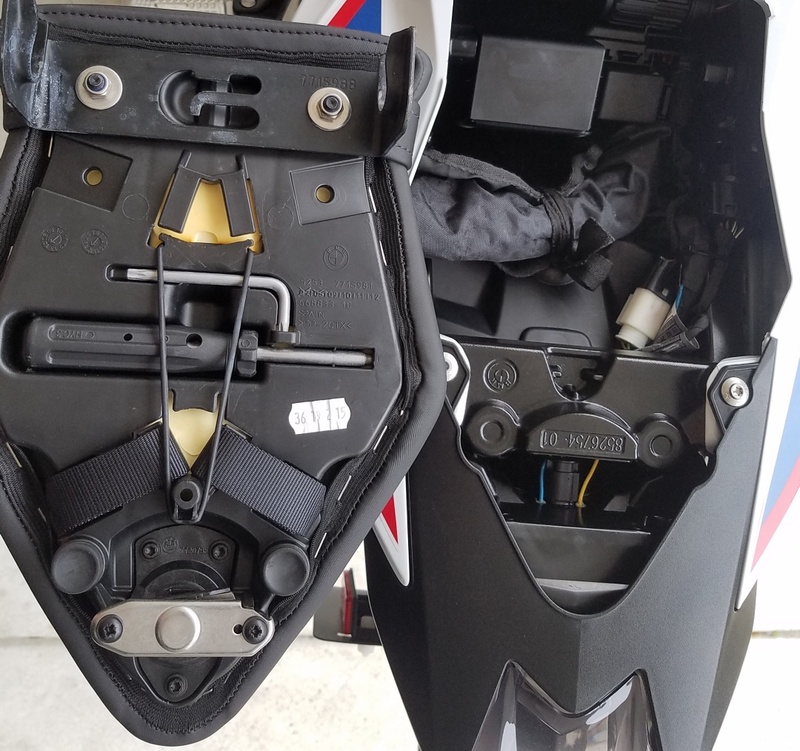 We also added right and left side case protectors. 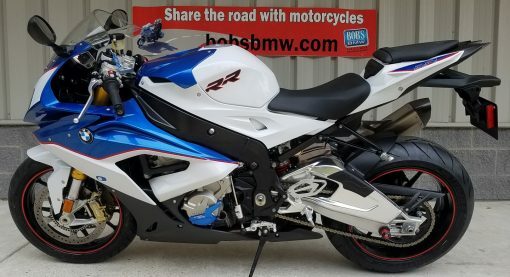 This S1000RR was stored inside and you can tell that it was babied and well cared for. 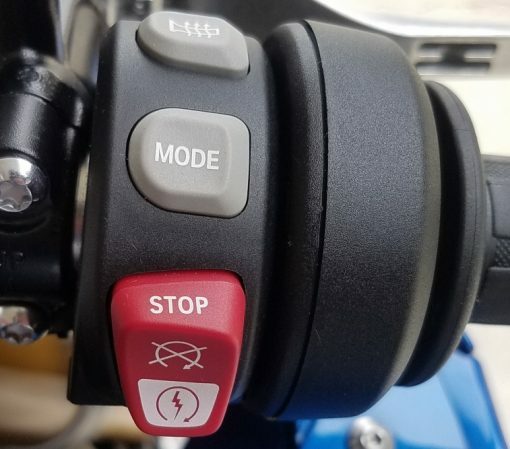 The wheels, seat, windscreen, gauges, controls, grips and hardware on the bike look new. The cosmetic condition of this BMW was rated at a very critical 9 out of 10. There are a couple rub marks on the heel plate of the muffler and if you look very closely you can see where something in the previous owners garage rubbed against the muffler itself. There are a couple small rock chips in the paint on the right hand panel. We touched It up which makes it very hard to see but it is there. We gave this very clean RR to our detailer when we completed service on it and he was able to really get it back to showroom condition. With less than 4,000 miles there really hasn’t been any service needs. The original 600 mile service was complete in 2015. 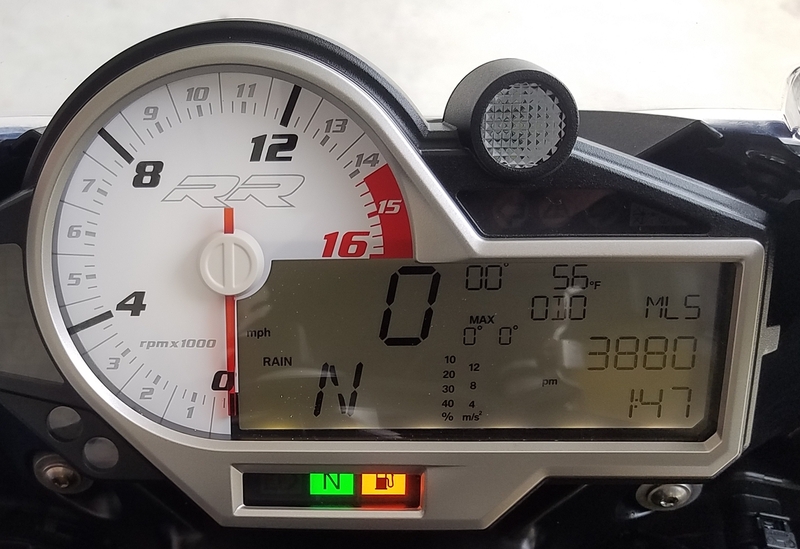 We did an Annual service in 2016 at 2,386 miles and a Bi-Annual service in September of 2018 at 3,764 miles. We also installed a brand new front and rear tire and installed nitrogen. 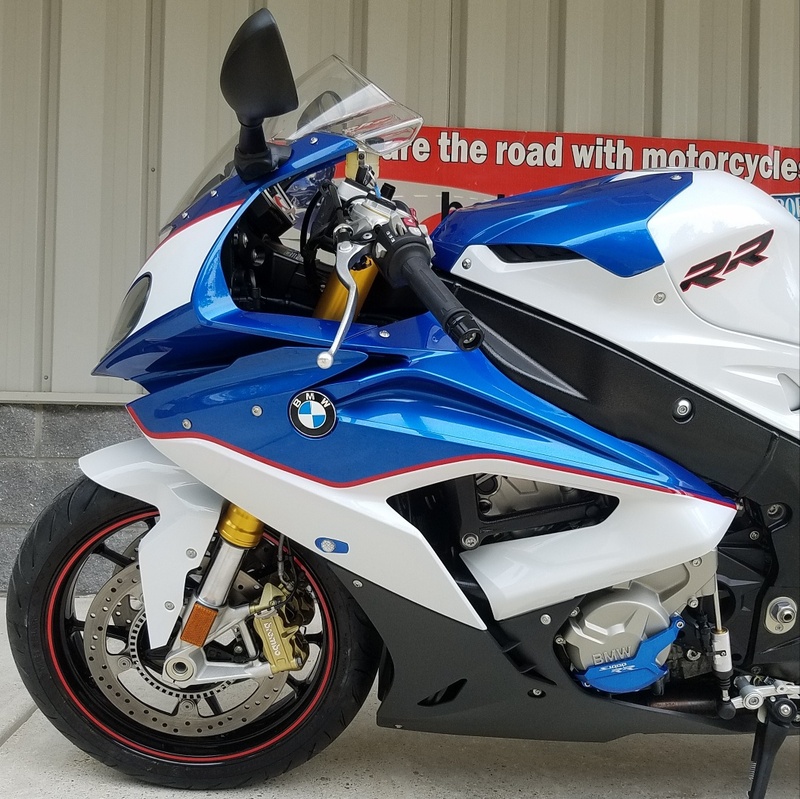 We completed a Maryland State Inspection which it passed with flying colors. We had a BMW master certified technician do a full 38-point safety inspection and extended 14 mile test ride to insure that every part of the bike in working as designed and that the bike is ready for the next owner to have mile after mile of fun. This S1000RR is ready for action! Being fully serviced, Detailed and having passed our very thorough Bob’s BMW safety and performance inspection, this S1000RR is being listed as a Bob’s BMW Advantage Certified motorcycle. 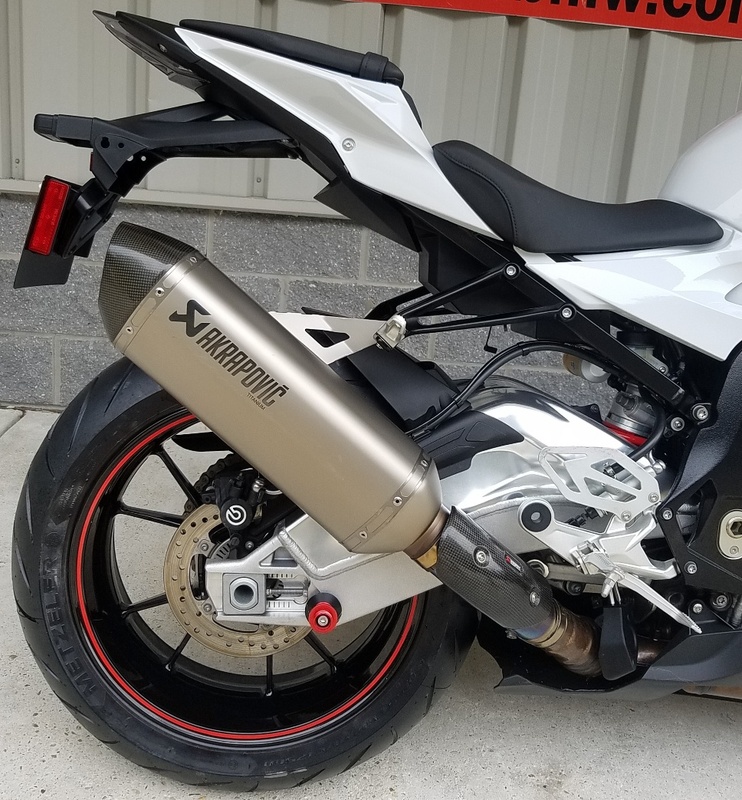 This entitles the next owner to special pricing on Tire & Wheel coverage and or a Vehicle Service Contract as well as a free service loaner on their next service interval. 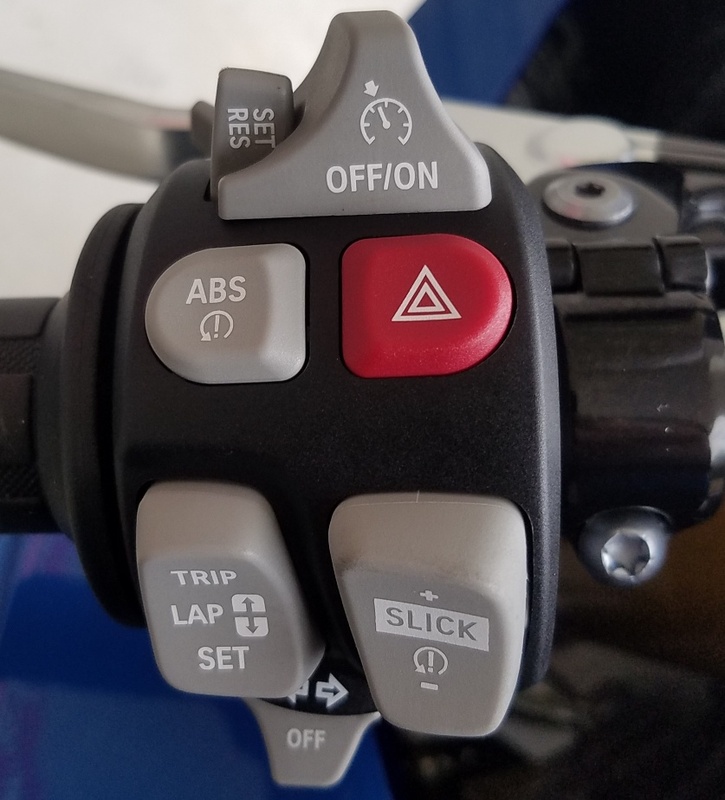 The bike also comes with a 30 day major mechanical guarantee. Included with the sale is the two original keys, owner’s manual and tool kit. 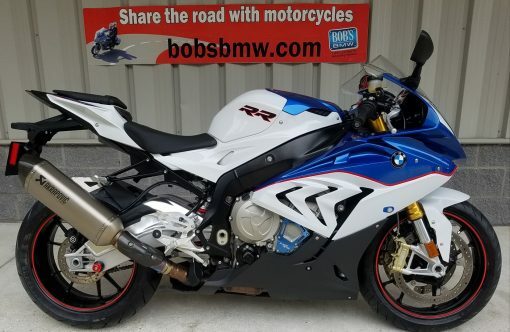 We just do not get enough clean used S1000RR’s, especially with such low mileage, and they do not last long here at Bob’s BMW. Contact one of our BMW Certified Sales Advisors today!